It is time for the final 2015 installment of Thursday Morning Superhero. 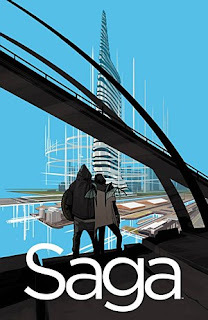 Since I was on holiday last week and found this week's books to be a bit slow, I am going to combine my pull list from the past two weeks in this post. I hope you all had a great 2015 and have an even better 2016! Cheers! Saga #32 - It does the heart good to see Marko and Alana back together, but I won't rest easy until they are reunited with Hazel. In the latest chapter, we see the couple fighting the powers that be in order to find the location of Hazel and Alana's mother. This brings them closer together as a couple and the two are able to move on from the events on Gardenia. Brian K. Vaughan continues to push the boundaries with his character creation and the artwork of Fiona Staples is without question Eisner winning material. The cherry on the cake in this issue is how big Prince Robot's son has grown. I look forward to what shenanigans he gets into. 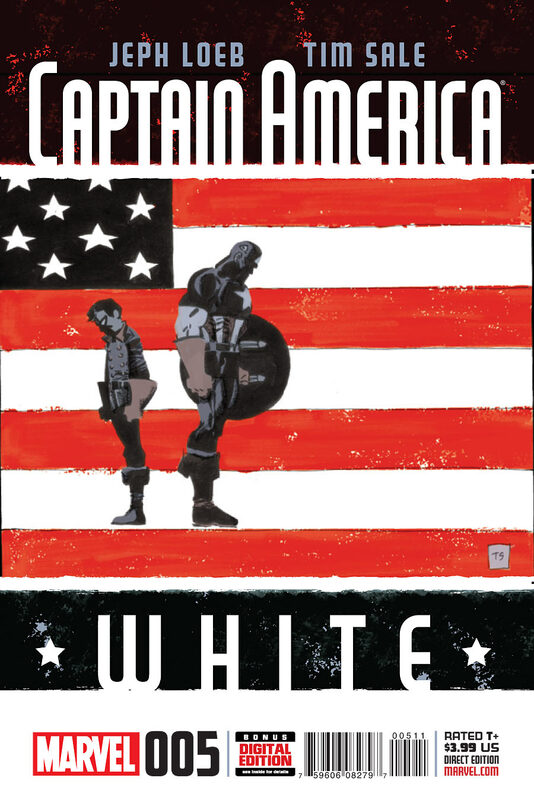 Captain America: White #5 - This stellar series from Jeph Loeb and Tim Sale reached a fitting conclusion and might even leave a tear in your eye. As I mentioned in other reviews, it really felt like an homage to classic Cap and was even dedicated to Joe Simon and Jack Kirby. Not to play spoiler, but Red Skull was stopped and Paris was saved thanks to Cap and his crew. This series made me appreciate the connection that Cap and Bucky had and got emotional as Cap confronts the fact that there was one time he couldn't save his friend. Captain America said, "the war went on for four more years. This was only one of our adventures." Is it too much to hope that we will have more of these from Loeb and Sale in the near future? I sure hope so. Darth Vader #14 - The "Vader Down" event continued as his plan to catch Luke doesn't seem to be going as it should. I don't plan on breaking down the story too much, which you should totally read, but will instead talk about what this series does right. It introduces the reader to new and interesting characters, and provides a new angle in which to study existing characters. There is something very appealing about a flawed Vader, Chewbacca being overpowered by a stronger Wookiee, and seeing a powerful Sith in Commander Karbin, a cross between General Grievious and Admiral Akbar. 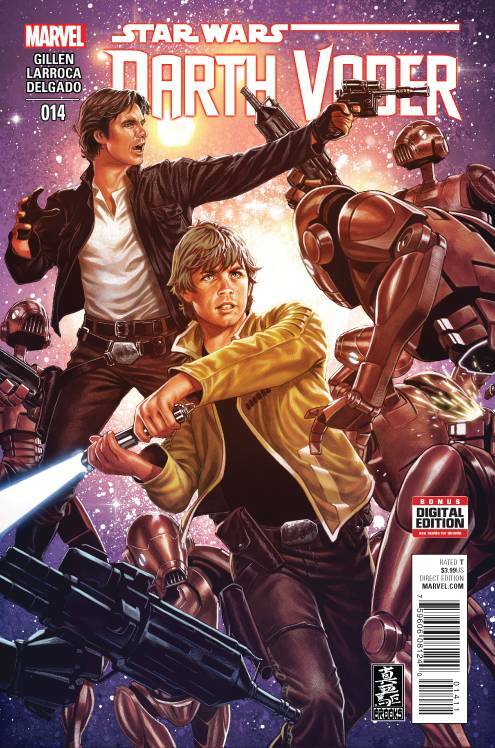 Marvel and its creative team have really done a great job expanding on the Star Wars Universe and breaking the mold in its portrayal of classic characters. 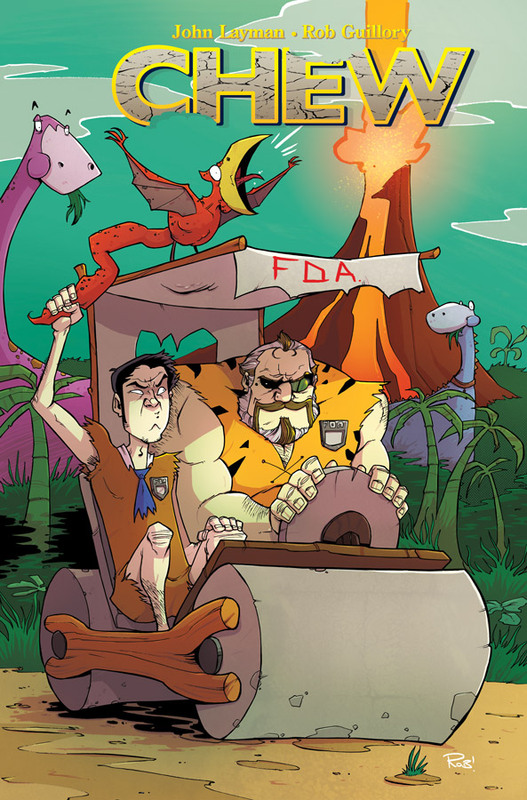 Chew #53 - The race to the finish line continues as Tony Chu and Savoy travel to prehistoric times in an attempt to understand the root of the avian flu. In classic John Layman style, the journey into the past is psychedelic, insane, and not at all what I expected. While I am sad for this series to end, it looks like Layman has an exciting finish in store for us fans. As Savoy said to Chu, "there is usually one ending for people such as you and I, For Cibopaths. One will die. And the other will dine on the flesh of his enemy."